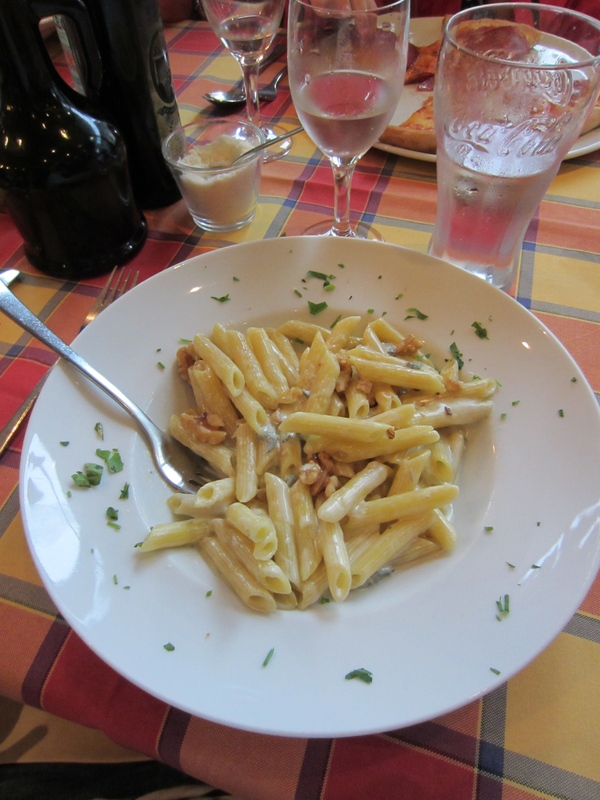 Absolutely authentic (delicious) Gorgonzola Penne. Day 12: Raining this morning in Nuremberg. Quick breakfast and then we checkout to hit the road for the 400km/240 mile drive to Berlin. Once outside town the rain clears up, but it’s still dreary and overcast. As we enter Berlin, it starts to rain. We arrive at the hotel at 4 pm and are pleasantly surprised to find a swimming pool (very rare), and a two room apartment with a kitchen and a washer and dryer. Once we get settled (and throw a load of laundry in) we head out to the surrounding neighborhood. We’re in central Berlin just a few blocks from the notorious “Checkpoint Charlie.” After dinner (penne with gorgonzola sauce), we stroll a few blocks to check it out. 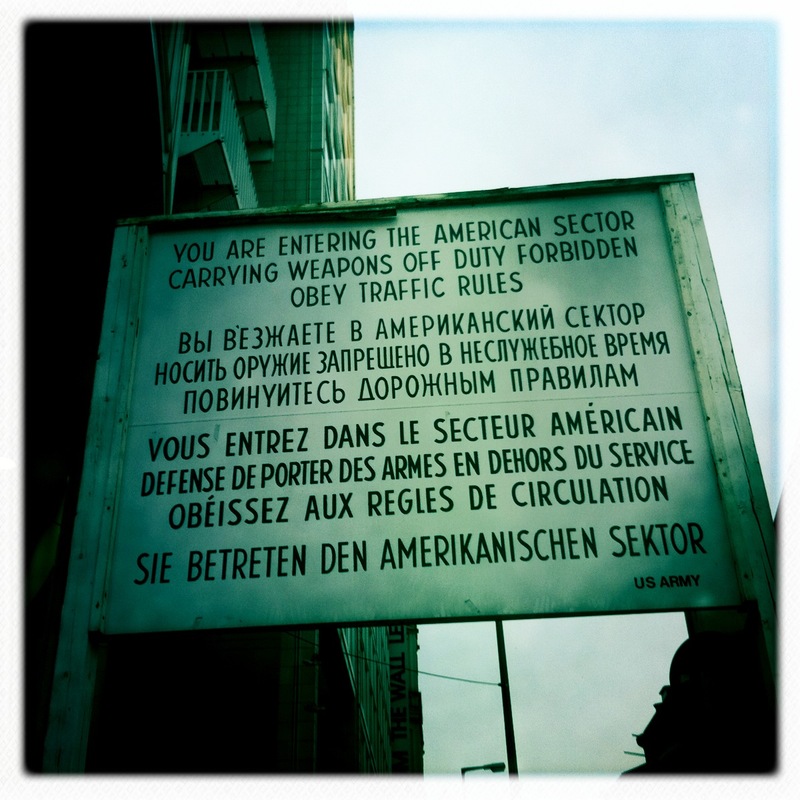 Although now it is largely a tourist attraction, it remains a symbol of the Cold War. It’s a popular spot for American tourists (like us). We’ll head back in the morning to take in the museum. For tonight it’s off to the pool, more laundry and off to bed.